Author: Lewis, J. Patrick Set In . . . Description: J. Patrick Lewis and Gary Kelley take readers back to 1911 -- to the city of Paris, where history's most famous portrait, Leonardo da Vinci's Mona Lisa, has gone missing from the Louvre Museum. As France laments the loss of its most treasured masterpiece, a zealous Italian watches with amusement, for he alone knows the truth behind the mystery of the vanished lady with the peculiar smile. Lewis's words, narrated by the proud thief himself, tell the spirited tale, while Kelley's illustrations masterfully depict each turnof the unfolding drama. 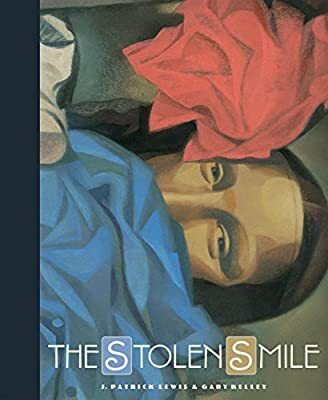 Based on true events, The Stolen Smile is the story of a hopeful hero and one painting's powerful spell.